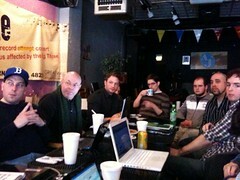 In April, we met at Urbane Space in Birmingham (thanks to Hubert and Eric!). Custom Post Types – check out the links at the bottom too. Here are some notes I took from the meetup last night. Please read my previous post for details on this meetup topic – leukemiamichigan.org Case Study. The site was developed by Futuramic Media (Tim Aten) and Trevor Fitzgerald for a local non-profit organization, Children’s Leukemia Foundation of Michigan using WordPress. The site’s goal is to keep the look of the existing site while making it easy to update the site (especially the fundraising events & news) and promote donation. Event Manger is a feature Trevor built especially for this site. This has the ability to add event title, date, description and link, upload an image for the event, Convio (event landing page) integration. By adding an event from a simple form, the client can update a home page block and calendar of event page. He mentioned he would use custom post type with custom fields if he were to build this after Version 3.0. You can read Custom Post Types in WordPress 3.0 (kovshenin.com) to learn more. The site currently use a simple Authorize.net gateway for the donate feature. Their future plan is to use Shopp plugin to add a shop for fundraising merchandises. Anthony noted he likes Shopp plugin a lot because of the refined and integrated interface which feels continuous to WordPress dashboard. He also likes Shopp’s advanced coupon control features. Tim shared a printed manual they handed to the client. Noting basic things (e.g. pasting from Microsoft Word, shift + return/enter to create a new line) is really important for non-techie users. This sounds obvious but is often overlooked in documentation if it’s written from your perspective not the users. The client is very happy with the result they got using WordPress. It used to take months to update something on the site to add a new feature or even to make a simple update on the site. Compare that to the fact this whole renewal project spanned over 2 months or so, but their gross development time was about 3 weeks (note: the design and some frontend code was carried over from the existing site)! Q: How/where did you set up an environment for testing? 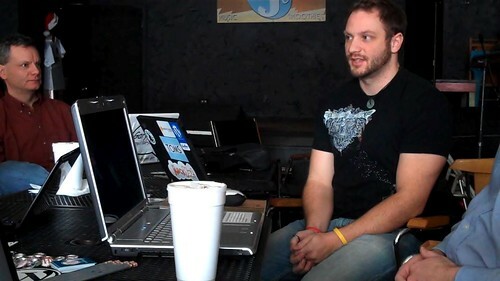 A: Tim said they had a separate dev site on his company’s server. Anthony said he’s experimenting with Dev and Staging Environment Plugin – he’s liking it so far. Q. 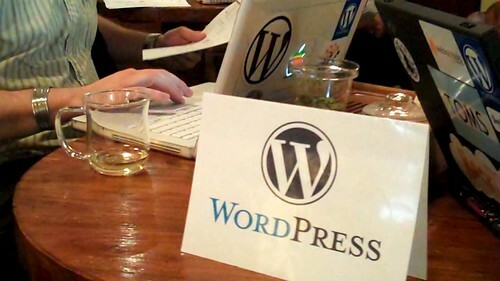 Why did you use WordPress (as opposed to Joomla! or Drupal)? A. WordPress has a nice admin interface for the client to work with. It is important that the user can keep updating the site without much help, and also they can hand over the task to anther person if they need to. Q. Anything to note on the theme side? A. They took the template from the existing site and made it into a WordPress theme. Theme setup is pretty basic other than a custom page template for the home page.